Throughout the offseason, I will be preparing a collection of articles that will focus on free agents and trade candidates. The articles will discuss the player in question, and what the move does to their value, as well as what their landing spot means for their new and old teams. Like the Raiders of the 2000’s, the Jets might be the worst place for NFL talent to go this decade. Despite having career years in 2015 Brandon Marshall and Eric Decker were unable to propel the Jets back to playoffs for the first time since 2010. Then last year, an injury ended Decker’s season before October and Marshall’s stats came crashing back down due to the poor quarterback play of Ryan Fitzpatrick, Geno Smith and Bryce Petty. Both receivers were released and the Jets are once again in rebuilding mode. Both players are over 30 years old now (Decker 30, Marshall 33) but still have fantasy value for the right price and while the Jets are expected to have an awful record they do have some interesting young receivers that could benefit from garbage time points and be savvy plays week to week. 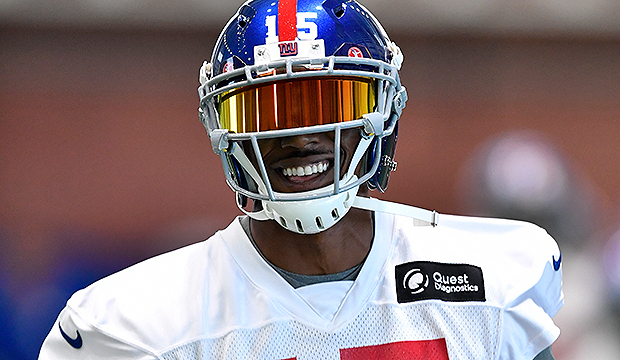 It made sense that Brandon Marshall would want to stay in New York with his frequent appearances on Inside the NFL and luckily the Giants are trying to keep their playoff window open. Therefore, it was a mutually beneficial acquisition. The Giants are looking to build on their playoff appearance last year but needed more than just Odell Beckham Jr. to beat the Falcons, Packers, Seahawks, and Cowboys. Marshall is no stranger to playing in an offense that features a #1 and 1A receiver, though he’s usually been the first option so it will be interesting to see what his role will be as the #2. 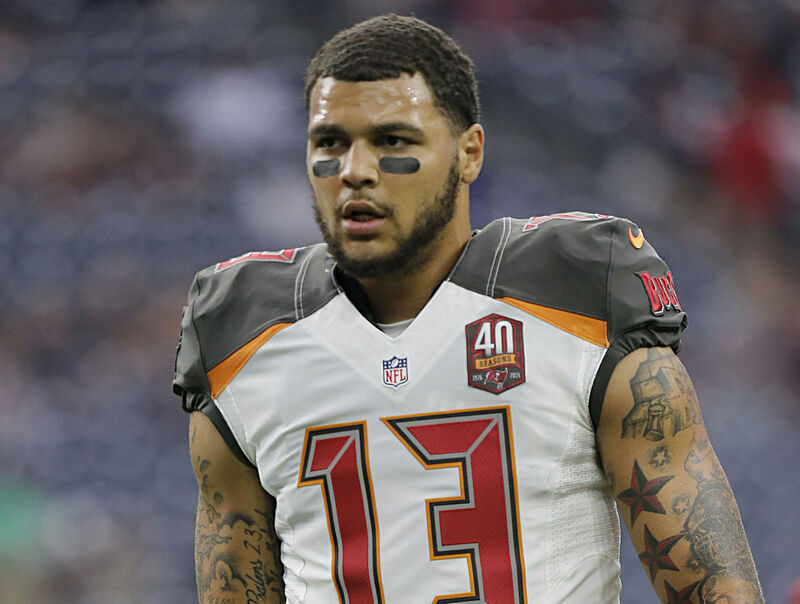 There shouldn’t be a decline in production from Odell’s standpoint and much like Mike Evans the addition of another passing option should help keep safeties from shading one side of the field. Expect another top 10 fantasy production season in 2017. 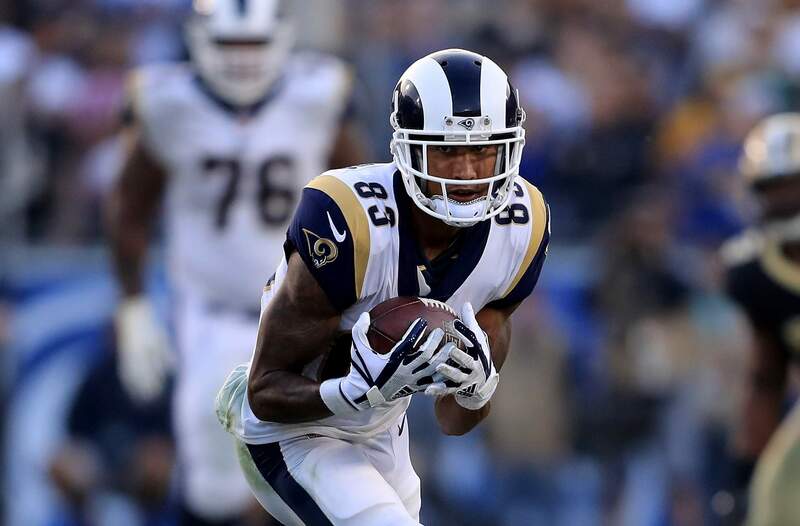 Probably the player that has been most affected by this addition is sophomore receiver Sterling Shepard who looked like he may be coming into his own during the final games of last season. While the Giants have been one of the more consistent teams to run 3 WR sets their WR3 the last two seasons has not been fantasy relevant scoring only 101 PPR points. Shepard may be one of the better buy-low candidates because of his long term upside but for RSO owners it would be difficult without there being an injury to Marshall. Because of the RSO rookie contract format, he was likely a 1st round rookie pick last year which means that he will be under contract for as long as Marshall is in town. He may have the opportunity to regain his WR2 role after 2 years but then he will be back in your auction in 2018 or 2019. 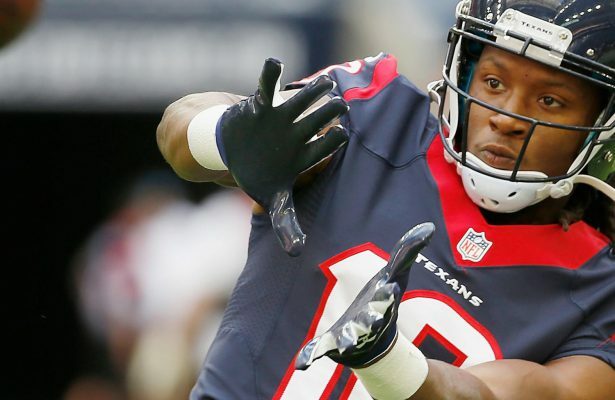 If you think he will be a great receiver moving into the next decade or you do not trust Marshall to stay healthy he should be easy to acquire. It will also be unlikely that he asks for a large salary with the new resign feature so it would be possible to hold him for another 5-7 years. Otherwise, if you drafted him last year and you want to have value now it’s probably best to get at least a 2nd round return for him before he loses more value. Eli Manning should benefit from having another weapon to get the ball to in the end zone as they lacked a running game to finish off drives last year. Marshall has been one of the better targets in the end zone having 8 or more touchdowns 4 out of the last 5 years. Any given week Manning has the upside to be a QB1 but often manages to disappoint owners in easy matchups and therefore can be a headache to start. There are several other QBs that would cost the same or slightly less (Taylor, Rivers, Stafford) that I would rather pick up in the auction. Let others be frustrated with the highs and lows a typical Eli season. 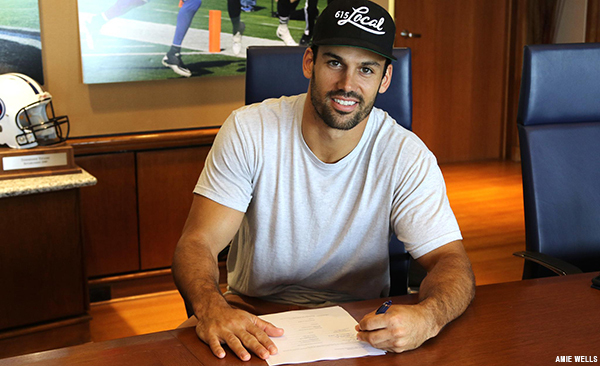 Much like Marshall’s ties to New York, it made sense that Eric Decker would move to Nashville to be closer to the country music scene where his wife, country singer Jessie James works. It probably also helped that the Titans are shaping up to be a pretty good team in the AFC South and could be the sleeper team to win the division this season. There are two pressing questions that are holding down Decker’s fantasy value for owners in 2017. The first is his health and whether at 30 years old he will be able to continue to play at a high level coming off of shoulder and hip surgeries. Adam Schefter reported that he was medically cleared back in June and the Titans would have done their due diligence before signing him. Still, they only signed him to a one year deal which could suggest that he was brought in to see what’s left and act more as a mentor to their young receiving core of Corey Davis, Taywon Taylor, and Tajae Sharpe. The second question is what Decker’s role will be in the “smashmouth” offense of Head Coach Mike Mularkey and whether Corey Davis/Rishard Matthews can be the primary receiver. 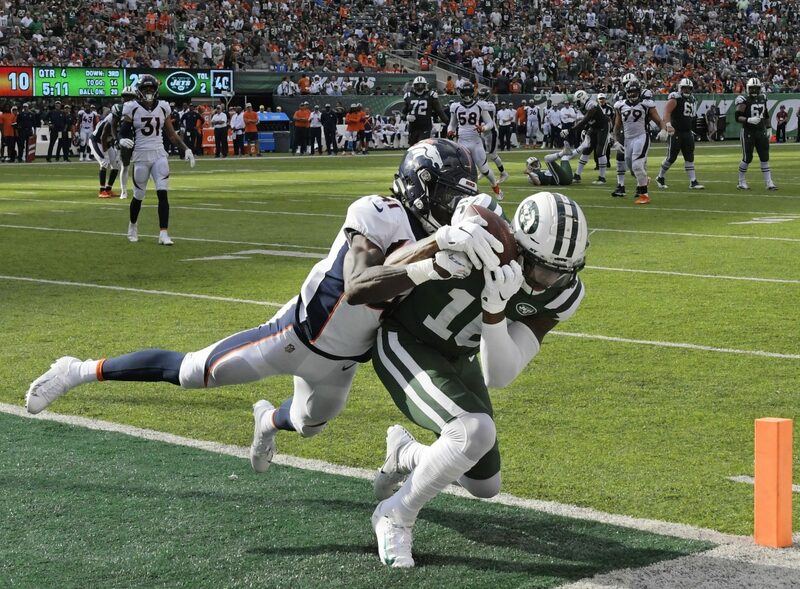 When Decker was able to operate as the second option behind Demaryius Thomas (2012, 2013) and Brandon Marshall (2015) he was able to take advantage of the coverage and averaged 84 catches, 1100 yards and 12 touchdowns in those three seasons. His 2014 season with the Jets he had to function as the primary receiver and he only had 5 touchdowns and less than 1,000 yards. In an offense that has two powerful redzone RBs and another receiver (Matthews) that also operates as a redzone threat, it might be difficult for Decker to accumulate the scores that he has been known to do over the last 5 seasons. Luckily, no one should be drafting Decker to expect his 2012-2013 stats but his 2015 season (less a few touchdowns) could be a reasonable expectation. He presents WR2 upside so he should be a value in auctions between $4-8MM. Just don’t get carried away and offer more than 1 year as we don’t know what his situation will be this time next year. The Jets cleaned house after a 4-12 season letting go of several key players on both sides of the ball. The team is unlikely to have a lot of wins in 2017 but luckily for fantasy, there are always garbage points. With the top two options gone the depth chart is also wide open for a receiver to accumulate these points. Quincy Enunwa is thought to be the first choice for fantasy owners as he played the most snaps last year of the remaining receivers and he showed fantasy value for deeper leagues. He has the size and athleticism (6’2”, 225lbs) that you would want from an X receiver which is where most people think he fits best. Playing opposite to Marshall last season he didn’t have to face many double teams and blanket coverages which could be a problem if he is unable to win off the line or create space for himself. WR3 is probably a ceiling for Enunwa but he also has the highest floor of any Jet receivers. I acquired him in my first auction of the season for $14MM/4yr and he earned $17.5MM/3yr in my home league. I expect at least one owner in each league to value him in about this range. Depending on how late in your auction he is nominated he may go for even less. For those who don’t want to spend the same money on Enunwa, you can add Robby Anderson who I also got at the end of the auction for $1MM. Anderson is the opposite of Enunwa, a lighter receiver (190lbs) that is likely going to be playing mostly out of the slot. Depending on whether the QB that wins the starting job likes to press the ball downfield or wants to throw short, underneath routes will likely determine whether Anderson has any fantasy value in 2017. It wouldn’t be surprising to see Jets games where Anderson gobbles up curl and drag route catches in the 4th quarter to turn 3 point games into 10 point games in PPR. Predicting these games will require a little bit of luck but for what is essentially a free player you can see what he has and then move on during the season if need be. Make sure to continue to read more Free Agency Expectancy articles throughout the offseason to be prepared for your summer Auctions. Have a player that you want me to evaluate? Leave me a message on Twitter @naandrews19. 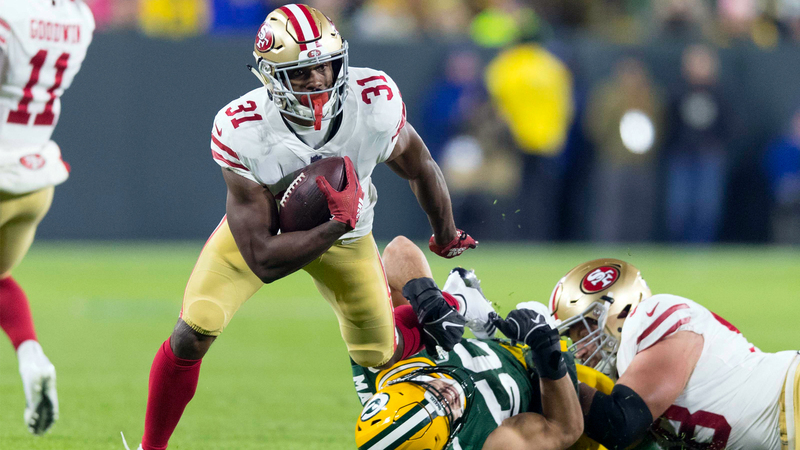 With three weeks of football to use as a measuring stick trends are immerging and we can start to see who the real fantasy stars for 2016 might be. This is also the ideal time to talk trades since teams that are 0-3 might be ready to sell already and teams that are 3-0 might be more inclined to drop their picks on players for today. I am going to look at players to try and buy, or sell, based on how the community seems to be viewing their value. Players will fall into four categories: buy low, sell high, buy high and sell low. The first two seem rather obvious but “Buy High” and “Sell Low” seem counterintuitive. My logic is this, if a player has shown you enough to warrant the price then you should buy now before they are untouchable. Likewise, if a player seems to be trending down but still has brand value to his name it might be time to get something before they become nothing. Alright now that we have the definitions laid out let’s start some trade talks. 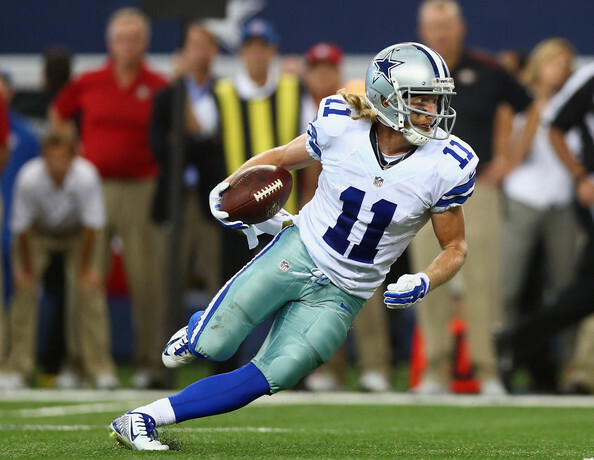 Goodbye Calvin Johnson, hello…. Marvin Jones? 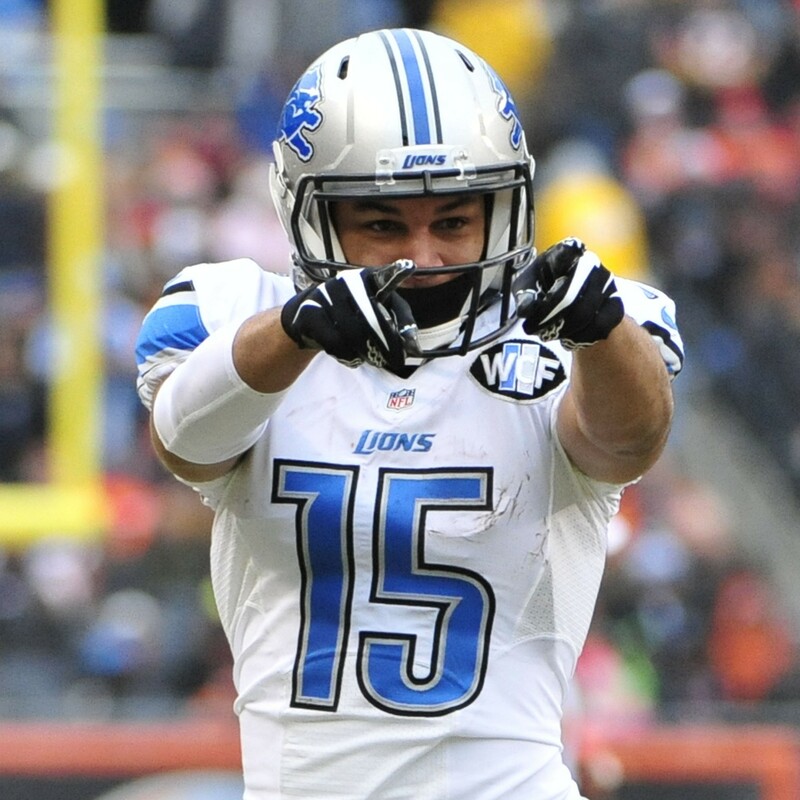 When Megatron left the Motor City people immediately saw this as tremendous value for Golden Tate. Instead, Marvin Jones has dominated the Lions’ share of targets (pun intended) and is coming off of a 200-yard receiving performance in week 3. Still, the Lions have no workhorse in the running game and continue to throw the ball at a considerably high rate (120 attempts in 3 games). With games against Chicago, Washington, Jacksonville and New Orleans still on the schedule, I can see Tate being a great complimentary piece to have for the second half of the season. Dak Prescott likes to check it down, A LOT! While both he and Tony Romo have used the running game to set up the pass, Romo would often try to push the ball deep downfield to Dez Bryant and Terrance Williams. Instead, Prescott prefers the death by a thousand papercuts approach which has greatly increased Beasley’s role this season. Playing a similar role to Julian Edelman in New England, Beasley looks like a lock to secure 4-7 passes coming across the field and on short curls and screens each game. His floor is much higher than most WR3s, and he’s still underutilized (started in <28% of leagues) in fantasy. He is likely on just a one-year deal in most leagues, but depending on your situation at WR I could see him being available for just a low draft pick or an underperforming WR3. I was originally going to write about LeGarette Blount here, but every other site has been writing up a storm about his dropping value once Tom Brady returns in week 5. Instead, I wanted to create some controversy by saying that you should be selling Todd Gurley. Yes, Gurley is considered to be one of the top dynasty assets today, and yes I know there is no concern about injuries or timeshares in Los Angeles. However, with coach Jeff Fisher signing a new three-year extension he appears to be content with putting out a mediocre roster week-after-week and season-after-season. 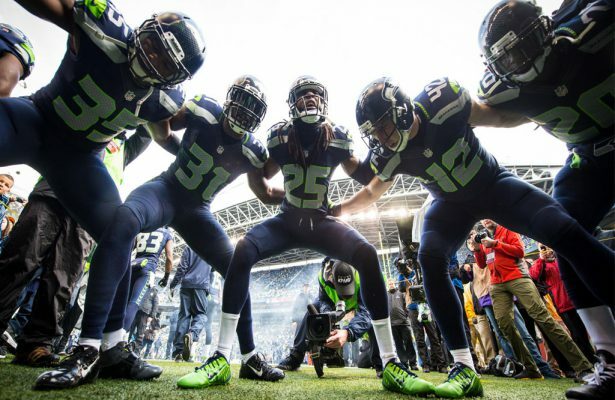 What are the chances that the offense becomes any more effective in the next year or two? Taking into account that the team has games against Carolina, New York Jets and Giants, New England, and Seattle still remaining this season I don’t see his opportunities getting much better in 2016. 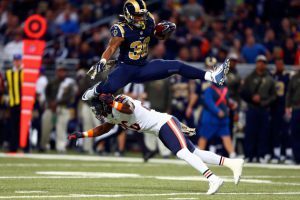 Many owners likely have Gurley on a low rookie contract for either two or three years which may make it hard for you to swallow moving him. If however you are offered a 2017 1st and either another upstart RB or a sturdy WR you would likely have to seriously consider it. After a monster week 2 that saw the Jets have 3 touchdowns from Matt Forte and 100 yards for Brandon Marshall and Eric Decker week 3 saw the team turn the ball over 8(!) times against the Chiefs. Both receivers also came out of the game less than 100% healthy. These Jet players have currently enjoyed strong value and could even be great ancillary pieces on a championship team this year. But with the workload that Forte has earned early this season, I find it hard to believe he will stay healthy come playoff time. Same goes for the oft-injured Marshall who was already questionable coming into the game this past week. Their value will never be higher than it is currently, and you can probably move any of them for a late first or early second in the current market. 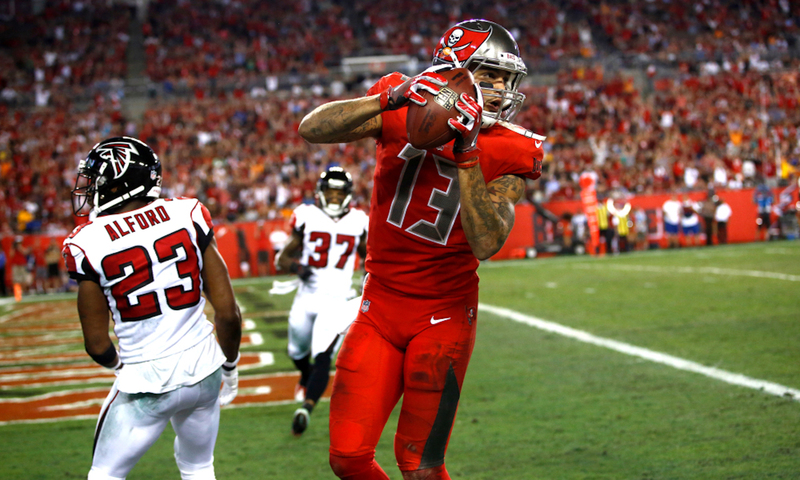 Remember back in 2014 when it was debatable whether Sammy Watkins or Mike Evans should be the 1.01 in rookie drafts? A lot has changed in just two years and the values of these two have changed quite a bit. 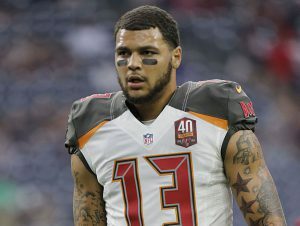 Evans has been stellar this season and has established a real connection with second-year quarterback Jameis Winston. His 17 targets in week 3 are mind blowing, and I don’t really see him slowing down anytime soon. It will cost you at least a first round pick to acquire him, but if you have a chance to acquire him this season he’s going to be great. Two matchups in the playoffs against the Saints make him worth every penny. Laquon who? Stefon Diggs has been a beast for the Vikings the first three weeks of 2016. 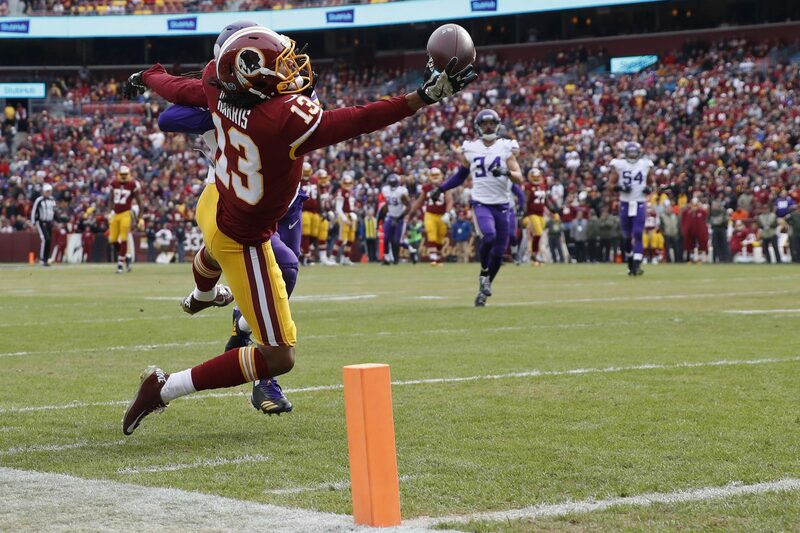 With concerns about him being a Charles Johnson 2.0, his value was at best lukewarm during the offseason. Currently, he has 47% of the receiving yards in Minnesota’s pass attack. Norv Turner will likely continue to feed his best player. 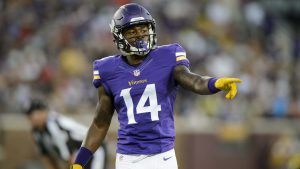 From his fast start to the season there won’t be too much concern about him being a bust, and many of his owners won’t be actively shopping Diggs now. Still, it’s every fantasy player’s duty to at least see what the asking price is, and if it’s reasonable he’s worth it. Do not be fooled by the last two weeks’ stat line. Brown only played 57% of the team’s snaps and benefited greatly from Palmer throwing 50(!) passes in Buffalo. 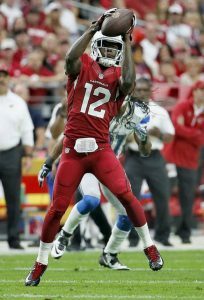 He then benefited again from a favorable game script that saw the Cardinals down for most of their week 4 game against LA. He still is playing behind Larry Fitzgerald and Michael Floyd and has even seen Jaron Brown take away from his time on the field. With so many mouths to feed (including David Johnson out of the backfield) it will be difficult to rely week to week on Brown. 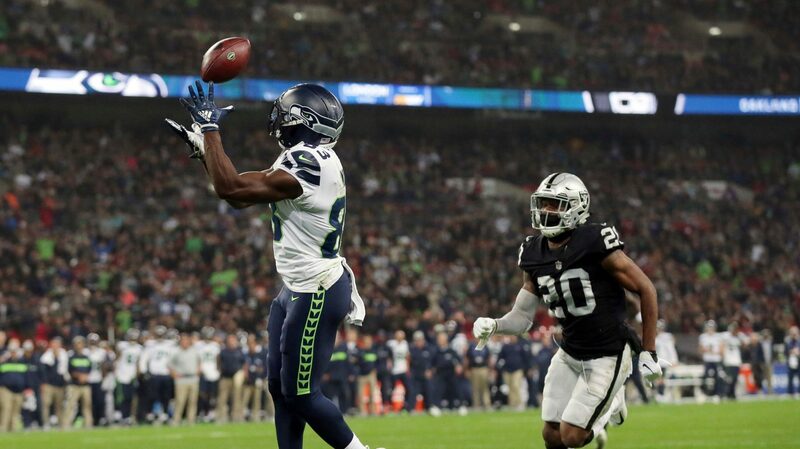 If any team is hurting at their WR I would look to move him their way for any other WR3 at this point. Jordy is back! Rodgers is moving the ball again, but Cobb is still lacking from what you would expect from a reliable WR2. 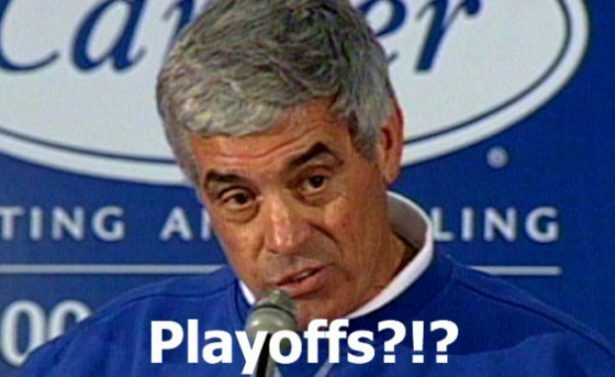 PPR scores of 13, 9, and 4 are leaving a sour taste in fantasy owner’s mouths. Unless you purchased him recently, one would assume that he’s being paid pretty handsomely. He still has great name value and the offense he plays in offers the opportunity to have solid fantasy weeks. 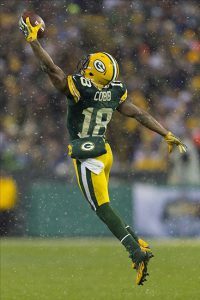 However, if I had the choice between Cobb and other receivers such as Jordan Matthews, Jeremy Maclin, Emmanuel Sanders or Doug Baldwin I would be moving him without looking back. As the offseason has progressed, there have been some storylines that have continued to linger and others that have been new developments. There are fantasy implications all abound for all of these questions. Here are my top five remaining questions (in no particular order) that will alter the mindset of how players in these situations are viewed. I’m not including Tom Brady’s four-game suspension because the Patriots will be able to game plan for it if it sticks. 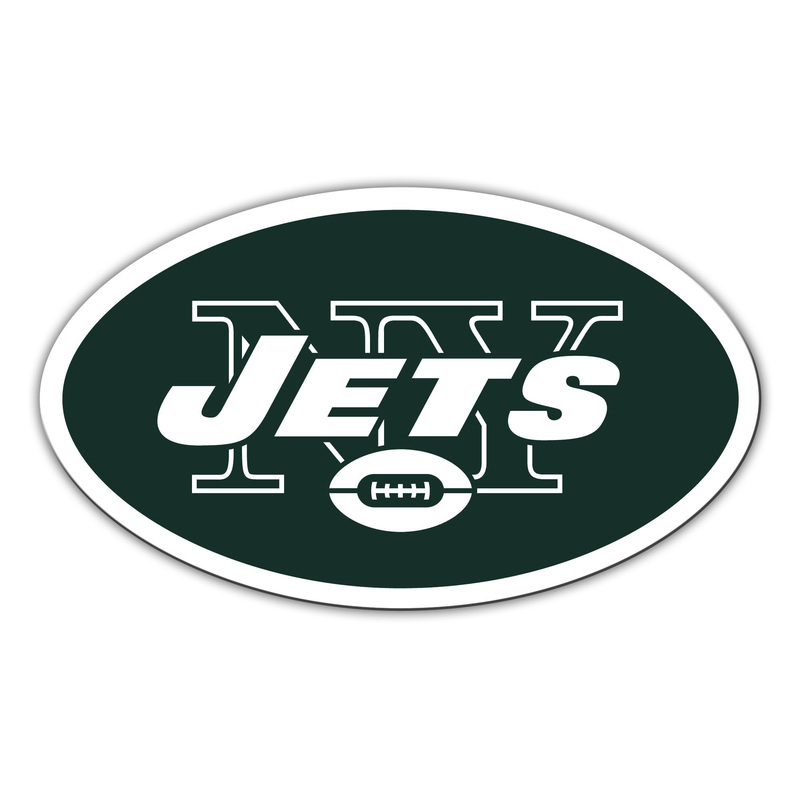 The New York Jets, according to Spotrac, have only $3.1 million of remaining cap space for its Top 51 players. That provides an interesting conundrum on bringing back Ryan Fitzpatrick, who is coming off a career season with 3,905 yards passing and 31 touchdowns against 15 interceptions. These numbers far exceed prior contributions from the signal-caller, yet Fitzpatrick only completed 59.6% of his passes last season and had one 300 yard game while the team narrowly missed the playoffs. Fitzpatrick seems to be wanting $12 million a year, possibly on a one year deal, which doesn’t appease the Jets who want to spread out the salary over time for cap purposes. While the Jets were clearly a better team last year with Fitzpatrick at the helm, how much of that is attributable to a solid ground game and more importantly, renaissance man Brandon Marshall? I’d say a lot. Even with bolstering its offensive line with the trade for left tackle Ryan Clady and the big free agent signing of versatile running back Matt Forte, giving the quarterback the most amount of talent he’s ever had around him by far. Geno Smith hasn’t effectively been a game manager, but hasn’t really been given the opportunity since the unfortunate broken jaw incident that led to Fitzpatrick starting the season and catching fire. Smith is the starter in OTA’s in Fitzpatrick’s absence and is a free agent in 2017. It would behoove the Jets to see what they have in Smith this year, especially if Fitzpatrick continues to hold out for what he believes he deserves. What does all this mean for fantasy football? Not much, really. Marshall and fellow wide receiver Eric Decker have performed well no matter who their quarterback is, even if they are showing solidarity for Fitzpatrick. I watched Fitzpatrick frequently miss connections with Decker plenty last season and Decker does have a 200 yard game on his resume with Smith as quarterback. Forte also performed well in Chicago, even at a greater clip without Jay Cutler. That’s your main concern, unless you are a Jets fan. Let’s face it- you aren’t throwing eight figures at Fitz in your auction or are considering him as a QB2 for any of your leagues. Conclusion: Proceed as you were. Nothing to see here, people. It certainly came out of left field last month when it was announced that third-year wide receiver Sammy Watkins had foot surgery in April. This is the same surgery that impacted Julio Jones, Dez Bryant, and Julian Edelman. 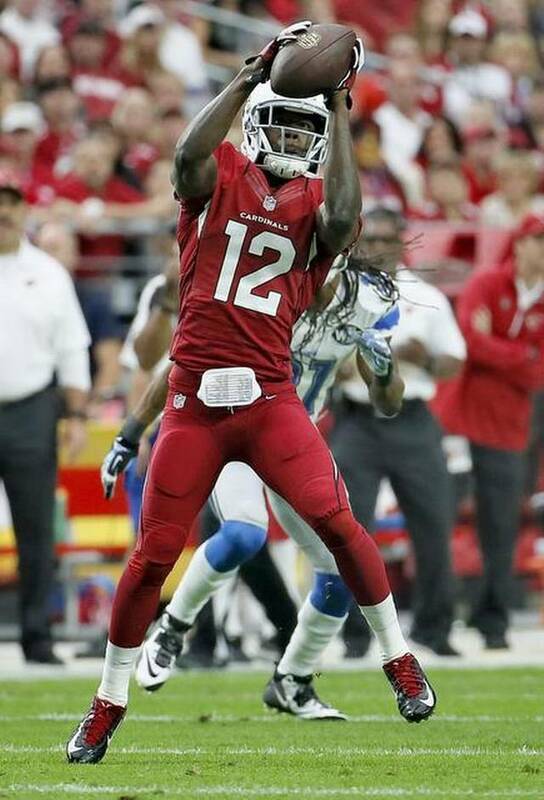 The big question that fantasy owners are dying to know is whether Watkins will be back in time for the regular season. From a Reality Sports Online perspective, and I’ve said this on the record on Twitter, this Watkins news makes his price that much more reasonable and I’d be in buy mode while he’s cheaper. There are a few buckets of owners of Watkins in leagues. First, you have those who have Watkins on a rookie deal, likely around $6.0 million a year currently. That is a steal for a potential top 10 fantasy wideout for the next two years. Those who entered leagues later may have a heftier price tag on Watkins, but if it is anything under $20 million a season, that could be value. As for me, I traded my final contract year of Randall Cobb (1 year remaining, $17.4 million) for Watkins (2016: $6.4 million, 2017: $7.0 million) and Matthew Stafford (1 year remaining $14.0 million). Basically, while I like Cobb’s potential efficiency to increase this year with the return of Jordy Nelson, I think Watkins ceiling is massive and a cheap price. Stafford is likely a cheap trade or cap casualty as I have Russell Wilson as my starter on a cheaper deal, but that to me was a small price to pay to get a potential superstar (which no doubt Cobb has been as well at times). The news on Watkins having a screw inserted and prior history with Bryant rushing back and a subsequent Edelman surgery are troubling, but the Bills know what they have in Watkins and won’t make him take unnecessary training camp reps to risk not being ready for the regular season. Even if he starts slowly the first two weeks, his back half of 2015 was dominant on a team that only threw the ball more than 30 times in half of the final eight games. How dominant you ask-try 41 catches for 732 yards and 6 touchdowns in the final eight games, including four 100 yard games. In fact, in that stretch, when Watkins was targeted 10 or more times, his worst game was 5 catches for 81 yards and a touchdown. Further, that’s on a run-oriented team and the team didn’t bring much in the help department for quarterback Tyrod Taylor in the passing game. Lastly, in the event I haven’t convinced you on Watkins yet, he’s got a potential fantasy playoff slate against Pittsburgh, Cleveland, and Miami, all at home in Weeks 14-16 and the Raiders and Jags immediately prior. Conclusion: Not concerned currently, but pay attention to the news. If you have Watkins, you’re probably holding him and expecting big things. If you have someone who is losing faith on him in your league, pounce on that, especially if the price is right. 3) The Josh Gordon Saga-Will It Continue? By now you know the narrative about Josh Gordon. Incredibly talented, but can’t stay out of trouble. Those of you who still own him at an average of 1.7 remaining years and $9.3 million remaining contract are sincerely hoping Gordon can put his past (and Johnny Manziel) behind him to tear it up on the gridiron again. That picture remains unclear, but there is some optimism that when August rolls around, Gordon can be clean and reinstated. The question then is what do the Browns do with him? 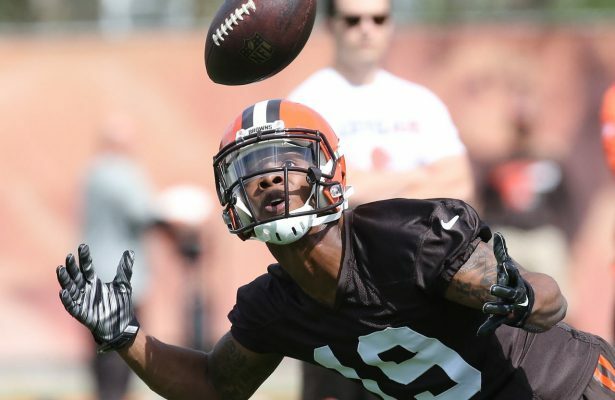 He certainly would like nice in an all Baylor connection with Robert Griffin III and rookie #1 pick Corey Coleman (who I really like as a Top 3 rookie draft get), but at the same time Browns coach Hue Jackson is emphasizing character and the team is stockpiling Moneyball draft picks for the future. Conclusion: Wait and see. If you have Gordon at an annual average of 1.7 years remaining and a little over $9.0 million left on his contract, just hope he hits the field, because if he does, he’ll produce anywhere. He still has top five wide receiver potential at close to bye week replacement pricing. 4) Is This the Year to Go Cheap at Quarterback? Given the popularity of streaming quarterbacks in weekly redraft leagues and similar low dollar values in some daily games, a popular strategy that is now emerging in Reality Sports Online leagues is to spend as little as possible on your starting quarterback. The theory, as adopted by Reality Sports Online’s own Stephen Wendell with a quarterback like Derek Carr is simple: there are only 10-12 starting quarterbacks in each league, so don’t overpay for one while your budget can be used on positions that may require more cap space. If any a year to adopt this strategy, 2016 seems like a prime one with quarterbacks like Marcus Mariota and Jameis Winston in their second year of rookie deals which typically found them as late first or early second round picks in 2015. The same holds true for Carr and fellow third year quarterback Blake Bortles. Both third year signal-callers have plenty of weapons. Heck, even Andy Dalton was playing like a top five quarterback until he got injured last season. With quarterbacks like Tony Romo, Philip Rivers, and Eli Manning always a possibility to produce, unless quarterback is a position that derives more value in your leagues, it might be smart to not go crazy trying to sign the Aaron Rodgers types for $25 million when one of these quarterbacks can be had for $5 million or less. Conclusion: 2016 seems like the first RSO league year where the cheap quarterback may really derive an advantage. I’m a firm believer in prime signal callers in the fantasy playoffs, someone you are sure will produce solid numbers even on a bad day. But if you can load up at receiver and get the right running backs under contract, this strategy is an interesting one. 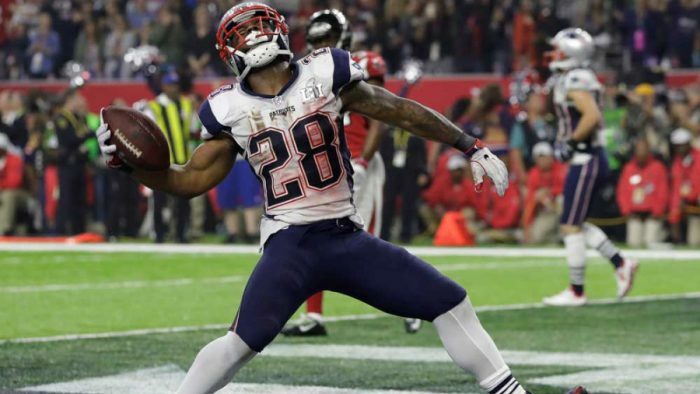 5) Arian Foster: Whose Fantasy Season is he Going to Screw Up? It is somewhat insane that Arian Foster remains unsigned, but it seems like he wouldn’t have it any other way. He’s close to having a clean bill of health and there are definitely a few potentially needy teams still lurking. Foster likely is looking at a $3-4 million deal with some incentives that could be achieved if he’s healthy and performs well. To me, the big question isn’t where Foster signs, but which current fantasy starter he’s going to destroy value for? First off, if you are still holding Foster thinking he may be the same running back he was on Houston when healthy, please temper your expectations. He’s a very accomplished runner with excellent pass catching ability and a nose for the end zone. That’s where he holds the biggest value to teams. I don’t think teams are looking at him to be their bell-cow at this point in virtually any scenario. I’d expect him to sign with the Miami Dolphins and if he does, Jay Ajayi owners will not be happy. Washington remains a good possibility and they’ve built up a pretty nice offense at this point. Put Foster in a committee and give him pass catching and goal-line responsibilities and he’ll have almost as much fantasy value on efficiency and fresh legs than he did as the featured back on the Texans. I personally don’t buy the New England hype-Dion Lewis is younger, coming off an easier injury to recover from, and under a fairly good contract. Conclusion: If you haven’t cut Foster yet, hang on and see where this next month takes him. I wouldn’t overpay for him as a handcuff, but I’ve come around on him if he’s in a good situation and used well (10-12 touches a game), he could have Danny Woodhead like PPR fantasy value. If you are holding Ajayi or were hoping that Matt Jones was about to break out this year, get nervous, but wait to see what happens. Matt Goodwin is entering his third season as a writer for Reality Sports Online and is in year four of his main league. He also contributes for numberFire. He is an avid sports fan from Cleveland, Ohio who would count a championship for a Cleveland major sports team a close second behind getting married to his wife Renee and the births of his children, Jory (6 year old son) and Lainie (18 month old daughter). Matt loves mid 90’s hip-hop, playing pick-up hoops, traveling, Ohio State football and Arizona basketball, watching Glengarry Glen Ross for the millionth time and being outside the few months it doesn’t rain in Seattle where he lives. He can be found on Twitter @mattgoody2 and hopes you continue to read his In the Zone articles. What's a Rookie Draft Pick Worth? As a parent of two young kids (probably not alone among the demographics of Reality Sports Online owners), I must say that outside of watching sports, I don’t get out too much or get to watch too much TV either. My Friday nights are typically spent going out to dinner with the family, putting the kids to bed and watching one of the few exceptions-Shark Tank. My wife and I started watching “The Tank” about two years ago. I went in with low expectations, dipping a toe or two into the water in fear that Mark Cuban would be the same guy he is as an NBA owner complaining about the refs. I really didn’t know the other “Sharks” prior to watching for the first time. However, aside from when Sharks like Robert Herjavec get on their high horse and throw a tantrum because a contestant actually wants to hear all the potential offers before making a decision or when Kevin O’Leary offers a royalty-laden deal where he basically wants perpetuity rights for “loaning” money, I love the show. I pause it like it is a football game and discuss the strategy with my wife. Perhaps it appeals to my business school self – as it represents a part of business school I ignored–I went to a Top 20 MBA Program but never took any entrepreneurship classes, which is something I definitely regret. What I like most about the show is seeing the good ideas and hearing the passion in the voices of the entrepreneurs. Frankly, it is exactly why I’m drawn so much to Reality Sports Online and Matt Papson and Stephen Wendell who run it. It doesn’t hurt that these two share my passion for sports and are genuinely really good people as well. At the same time, sometimes the best part of the show is when these slick-talking entrepreneurs who resemble Kentucky Coach John Calipari come in with a non-viable product or idea and the Sharks find tactful (Lori Greiner and Barbara Corcoran are best at this) or insulting (Kevin O’Leary) ways of rejecting the entrepreneurs. The conclusion typically ends in “For these reasons, I’m out!”. Cuban, frankly, is the best at rejecting the scheisty snake-oil salesman. He cuts them off, rolls his eyes, insults them casually and makes it clear he’s ending it, typically within one minute of their pitch. With that, this article is centered around dropping your multi-year contract players and the strategy behind that. I’ll get into the RSO contract database some and discuss average contract lengths and dollar figures and walk through some strategies centered around cutting bait with past contracts you regret. Before getting into that though, let’s talk Le’Veon Bell and his suspension for a minute first. How Do I Value Le’Veon Bell This Season? 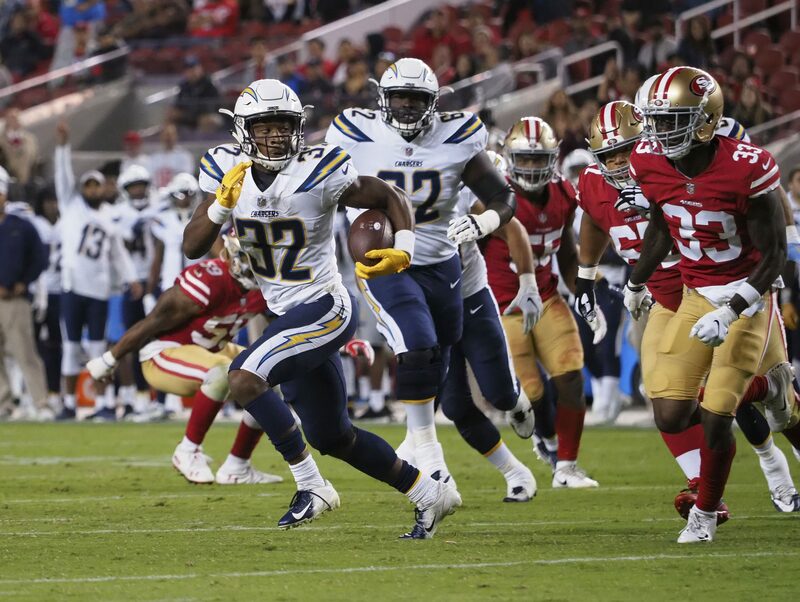 Bell was no doubt the best running back last season. With his three game suspension announced (pending appeal), RSO owners are left trying to figure out how to value Bell. For starters, let me be painfully obvious- you are not dropping Bell. No way, no how. If you are weighing whether or not to use your franchise tag on Bell (a topic we discussed in detail last week), it is probably a yes at RSO league averages of around $21.2 million, especially if you are good at finding replacement value those first three weeks. If the price tag in your particular league is higher than that, high level I’d probably say no simply on the premise of knowingly paying for someone who is missing a decent chunk of time. The good news is that at least you’ll be paying for someone who is missing time without an injury. I hate knowingly picking injured players, especially on a one-year contract. Take your league dynamics and the type of running backs available in free agency into account when considering franchising Bell. 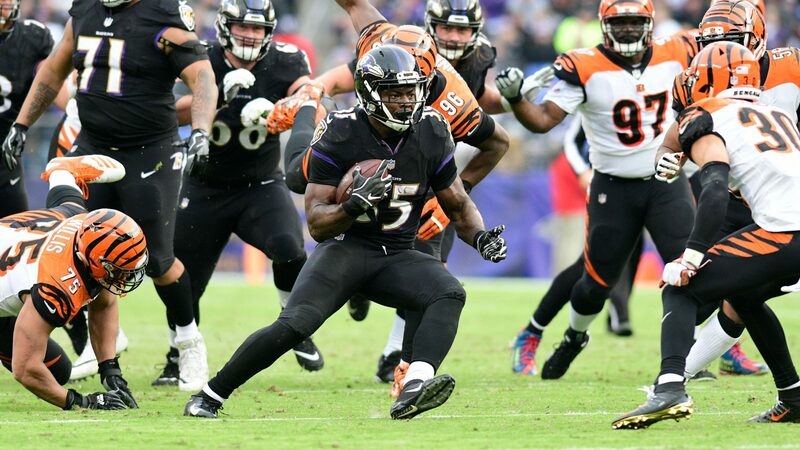 As some of you may know, I write for numberFire as well and my colleague Joseph Juan did an amazing study on running back longevity this week. If you are considering Bell against someone who has already hit the 1,800 carry cliff, eat the three games and stick with Bell. If you have Bell on a multi-year deal, it is probably below market value and there is significant value in that. Just simply hold and paint around the edges in your auction to get someone who has a favorable schedule the first three weeks of the NFL season when Bell is suspended. 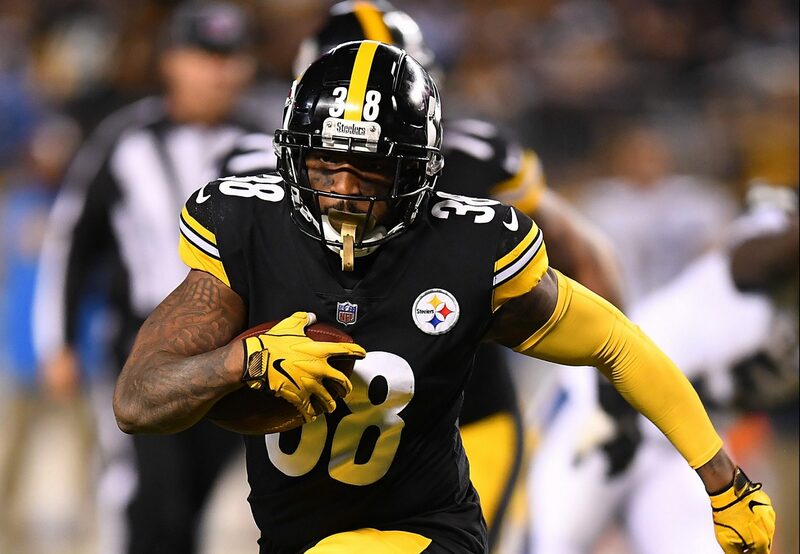 If he’s a free agent in your league and you are trying to figure out how to value Bell for your auction, the suspension really is a non-factor, especially if you are looking at him on a multi-year deal. If owners in your league are skittish about Bell, you may be able to achieve a little bit of savings on him. I would avoid signing Bell to a one-year deal unless you are taking advantage of his suspension to get him cheaper than you’d otherwise be able to get him. Remember, Bell is no Josh Gordon. Gordon who was suspended for two games in the 2013 season, was coming off his rookie season and was not as proven as Bell at the point of suspension. The risk and dollars invested in a fantasy league consequently were much lower, even if Gordon ended up having a historic season in the 14 games he did play. So, no need to channel your inner Shark on Bell. You’re not out! First, I’d like to note a few things about dropping a multi-year contract player before we talk specific players. 1. Dropping a Multi-Year Player is often a last resort. I feel like I see a few tweets every year from RSO owners that imply impulsive cuts are coming from them as soon as their league reopens. I don’t want to sound like captain obvious here, but eating 50% of future years is not a desired outcome, but sometimes recouping cents on the dollar may make more sense for your RSO franchise. This is especially the case when the NFL gifted RSO owners another $10.3 million in cap space for our 2015 season. The extra money can also work the other way as another reason to go big in free agency and start getting out from your undesirable contracts. Also, you have to assume that your player in most circumstances will not get claimed on waivers and save you from 100% of the player’s contract. 2. If the player is still in a good situation, try packaging him in a trade before dropping him. If the player is still talented, but overpriced, try trading him in a package to another team. Say you overpaid for C.J. Spiller a few years ago because you got drawn into the “run him until he pukes” coachspeak. Spiller still has talent and may be an interesting play on the Saints. However, are you really interested in paying him another 2 years and $13.5 million a year? The answer is a definitive no. If this is your reality, before cutting Spiller, you may want to get creative. If you are one piece away from winning this league and are entering a plum free agent market, while I generally don’t like trading first round rookie draft picks, if it gets you out of 100% of Spiller you have to seriously think about it. Say Spiller and a first rounder for a second rounder. This frees up good cap space in your auction. 3. How many years a Multi-Year Player has remaining is critical in this equation. A multi-year player with one year remaining is easier to trade, cut, or justify keeping. If you’ve already weathered a year of zero production from Adrian Peterson your mentality of cutting him in 2015 is different if he has one or two years left at his high salary. If you have two years left, you want him gone. If one, you are really thinking about what you want to do. 4. With very few exceptions, if your player is not currently on an NFL roster, drop them. I’m not going to spend a bunch of time on the Chris Johnson (1.3 years remaining average, $7.5 million annual average) and Ben Tate (1.7 years remaining average, $5.9 million annual average salary) types in this article. If a team hasn’t thought enough of your player to sign him (even as a backup), what are you waiting for? Get your 50% back and start planning your 2015 roster. 5. Don’t think you have to make a splash dropping players to be effective in doing it. 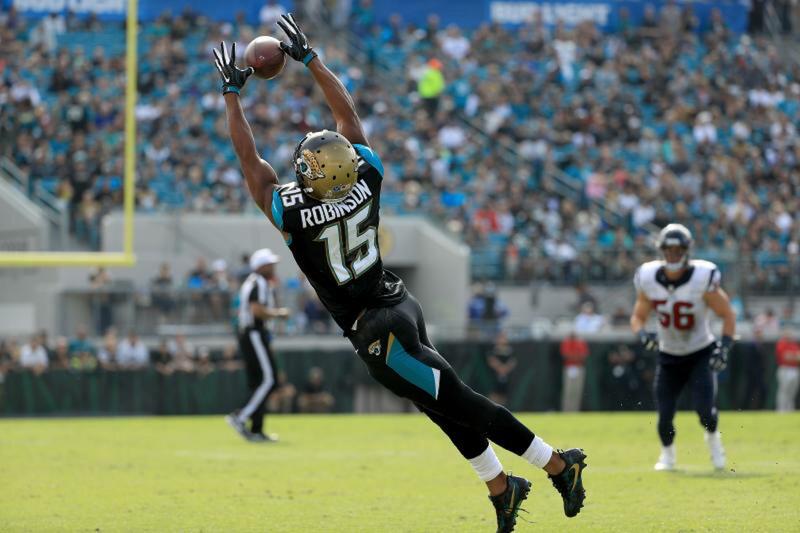 Just because someone like Miles Austin or Aaron Dobson isn’t someone you are paying $10.0 million a year to, if you get back money that you think you can repurpose better in the Free Agency Auction on a player that has a very low probability of being in your starting lineup on your fantasy team, do it. To me, there’s no ego in admitting a mistake, just roll with it and at least appreciate that this mistake was a low dollar one that you can course correct this year. At the same time, though, don’t get too deep into this. If you have someone like Antonio Gates on your roster for another year at $2.0 million, his expected value is better to you than what you can do with 50% of his money. In 2014, I was most successful in advocating dropping running backs. While I incorrectly said to hold onto Trent Richardson for another year (drop him immediately if you still have him), I got Ray Rice, David Wilson (hate being right about career ending injuries), and Maurice Jones-Drew right. I didn’t get Lamar Miller right, but I attribute a lot of that to Knowshon Moreno getting injured in Week 1. Funny how a year changes things as Miller is really interesting to me for 2015. I also did well on Wide Receivers, telling you to drop Danny Amendola, Dwayne Bowe, and Kenbrell Thompkins. I said to stick with Roddy White and while he didn’t quite get to 1,000 yards this season, he was productive. The question is did his production warrant his price. I didn’t take firm stances on quarterbacks (don’t worry I will this year), so there are no conclusive results and the tight end pool I talked about was not very exciting. I’d say I missed there as Owen Daniels became a solid Dennis Pitta injury replacement and Coby Fleener had a pretty solid season even if I don’t think he’s a very good football player. Adrian Peterson, Running Back, Minnesota Vikings– I’m looking at Peterson (2.2 average years remaining, $23.0 million annual average) from a potential production standpoint against price only. He’s 30 years old now and while he barely had any tread last year and finally gets an opportunity to play with his best quarterback in awhile, I just like the financial freedom that comes with cutting him if you can’t get trade value for him, especially if you only have a year left. If you have more than a year, you may be in a rebuilding situation that warrants moving on from AP as well. Andre Ellington, Running Back, Arizona Cardinals– You may be surprised seeing him on this list as a third year NFL player who has a second gear, however Ellington (2.4 years, $11.1 million annual average) is someone I’d think of moving on from. His coach seems to think he can’t hold up with a bell-cow workload and neither do I. Additionally, he simply wasn’t productive with the opportunities he had, as one of the least efficient rushers in the numberFire database. I wouldn’t move on from him unless the Cardinals draft a running back high because 50% of his savings may not be enough to find his replacement. On the flip side, someone else would potentially pick him up on waivers based on his “upside” and free you completely from him. Brandon Marshall, Wide Receiver, New York Jets– Don’t pay for Top 5 receiver Marshall on the Bears (2.1 years, $18.6 million annual average) for an older, lesser version on the Jets. I’m out faster than Cuban on this one. Christine Michael, Running Back, Seattle Seahawks (2.3 years, $3.3 million annual average)- especially if the team drafts a running back, but noting that Robert Turbin is a free agent in 2016. That’s all for now, fellow sharks. I sincerely hope you enjoyed and this is helpful. Feel free to reach out to me with key decisions you are facing via Twitter @mattgoody2 . I’m more than happy to help you with your key decisions.